The word Navaratri literally means nine nights in Sanskrit; Nava meaning Nine and Ratri meaning night. During these nine nights and ten days, nine forms of Shakti/Devi i.e. female divinity are worshipped. She is a form of energy, a manifestation of the Divine itself. There is a story in ancient scriptures when Devi destroyed the bull. The bull here signifies Dhumralochan (the laziness of Mahishasur, one whose eyes are clouded with small-mindedness). Only the Mother Divine can destroy this bull with the collective energy of Brahma, Vishnu and Mahesh. 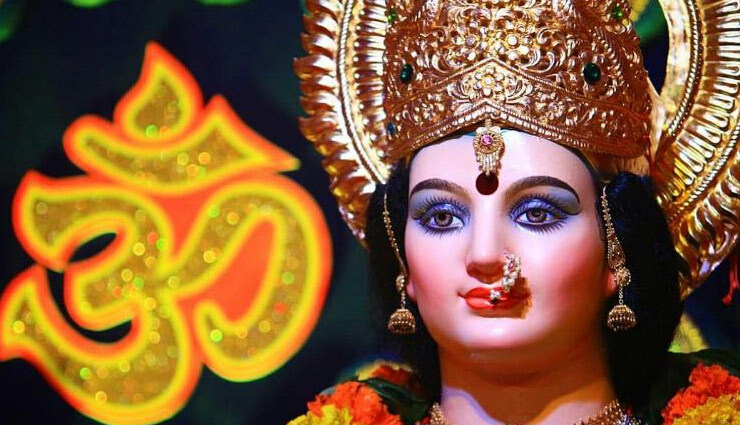 Just as a baby takes nine months to be born, the Devi took nine days to rest and what was born on the tenth day was pure love and devotion with which the Devi conquered the bull of inertia and dullness. Navaratri is a time for self-referral and getting back to the source. 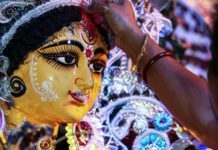 Navaratri is a festival for one to take the mind back to its source. The seeker gets back to the true source through fasting, prayer, silence and meditation. While fasting detoxifies the body, silence purifies the speech and brings rest to the chattering mind, and meditation takes one deep into one’s own being. 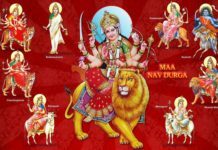 The nine days of Navaratri are also an opportunity to rejoice in the three primordial qualities that make up the universe. Though our life is governed by the three gunas, we seldom recognize and reflect on them. 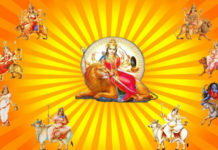 The first three days of Navaratri are attributed to tamo guna, the second three to rajo guna and the last three to satva guna. Our consciousness sails through the tamo and rajo gunas and blossoms in the satva guna of the last three days. The celebrations at the Art of Living International Centre in Bangalore are marked by a series of yagnas and homas to nullify all the misery sorrow and pain, provide solace and bring peace to the world. The homas are meant to nullify all the turmoils in the world. They are also meant to protect the environment, by instilling honour and reverence for Mother Earth. Scientifically the Homas have proven to purify the atmosphere, casting a healing effect on the mind & the body. Previous articleUS, China close to striking a monumental trade deal: Trump. Next articleMaldives goes to the polls to elect a new parliament.